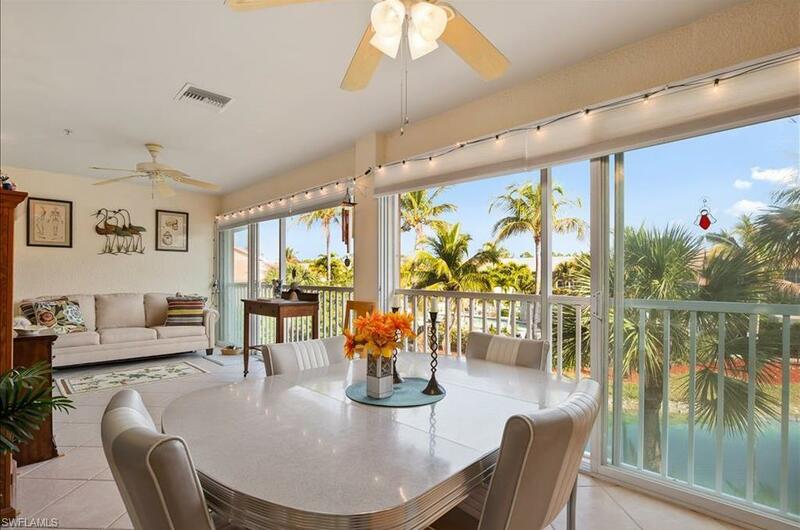 Enjoy resort style living in this 2 bedroom, two bath perfectly maintained condo in Naples fastest growing area! This 2nd floor PET FRIENDLY unit features a massive enclosed lanai and provides glass sliding doors with a new air conditioning vent giving it the largest possible air conditioned floor plan in the complex at 1,659 square feet with fabulous views of the lake and signature lazy river community pool The inviting great room offers vaulted ceilings, dining area with new ceiling fan, ceramic tile floors on the diagonal, kitchen with a counter height bar, breakfast area, new chandelier, recently replaced kitchen appliances, new kitchen sink and faucet. The generous master bedroom reveals beautiful laminate floors, en suite bath, new master shower and a large walk-in closet. The split floor plan is perfect for guests to enjoy the own comfortable bedroom and bath. 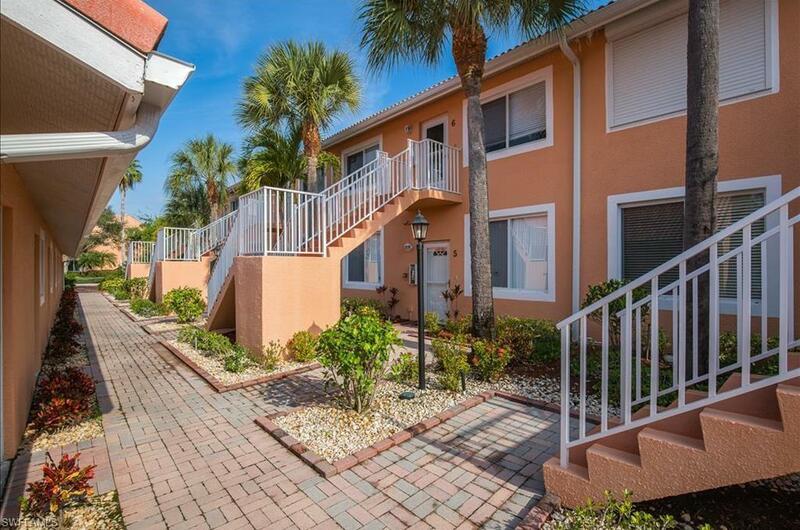 The unit has been freshly painted and is complete with an in-residence laundry, one car detached garage and full outdoor kitchen with grill, sink and new refrigerator. 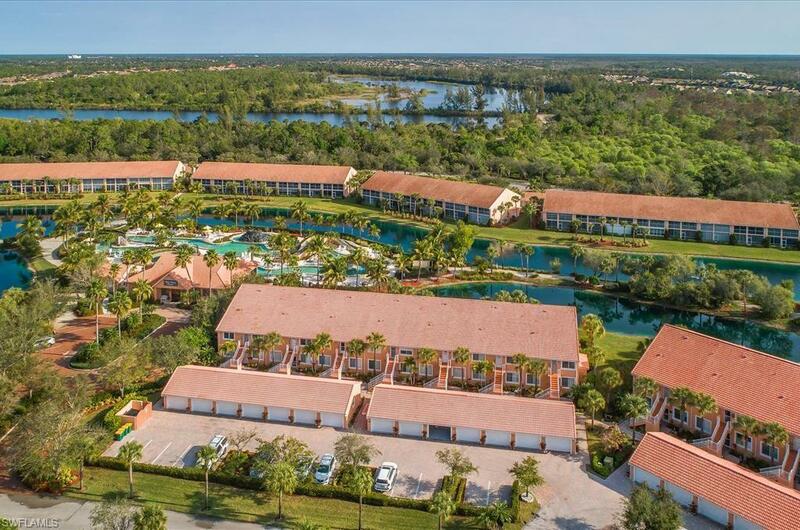 Falling Waters' amenities include an additional heated pool, bocce and pickleball courts. 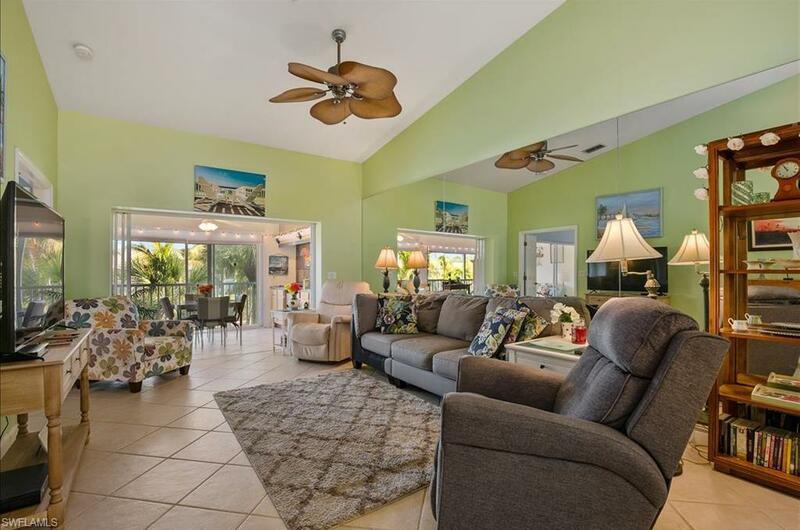 Very convenient to Naples and Marco Island beaches!